It’s never too early to start planning your spring break ski trip! 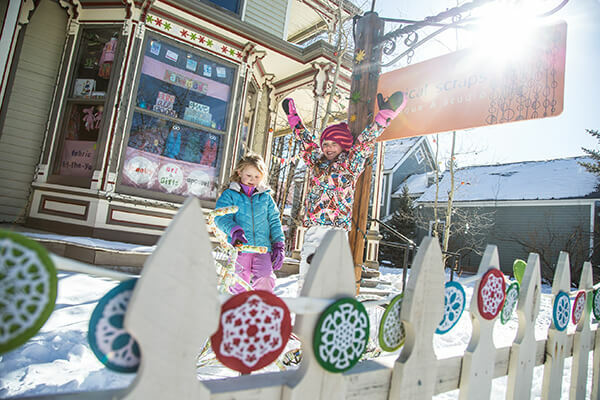 Enjoying a spring break vacation in Breckenridge is all about full-mountain trail coverage for spring skiing, fun events like live music on peak 8, and beautiful sunny and warmer winter weather. Book Breckenridge spring break lodging early so you can reserve a condo, townhome or house that is perfect for your family. Whether you want access to an outdoor heated pool, would like to stay on historic main street, or want to book one of our luxury Breckenridge vacation rentals, options are plentiful when booking early. Plus, below check out a guide to spring break in Breckenridge with awesome events, activities and much more to make a memorable spring break experience. Breckenridge is a unique ski town because the ski mountain and historic downtown are very close in proximity. Upon your arrival to Breckenridge check in with us at our downtown office location, then take a stroll or catch the free trolley on Main Street to kick off your spring break trip with shopping at stores like Patagonia, grabbing a pizza slice at local’s favorite Giampietro’s, or sipping on craft beers at beer bar Après. Breath in the fresh spring air, and take in the mountain views from the town square, or hop on the gondola to take a peep at the ski trails you will be floating down during your trip. During the months of March and April, the town of Breckenridge and Breckenridge Ski Resort are known for having fun spring fever events. Don’t miss live music, outdoor bars and grub, and ski/ride park competitions at Breckenridge Ski Resort’s base of peak 8. Another favorite spring event is the Breckenridge Beer Festival which celebrates local brews from over 50 breweries who happily serve up delicious seasonal and classic beers – a perfect way to end your ski day. Also, dress in green and celebrate a classic spring holiday with us, Saint Patrick’s Day, at Burke and Riley’s Irish Pub. Spring is one of the best times of the year to ski in Breckenridge as it is a month that typically receives the most snowfall in the winter. However, Colorado has, on average, 300 sunny days a year, which means Colorado winters can be nice and sunny even if it’s snowy. During an average snowfall winter season, skiing in Breckenridge in March promises endless terrain and backcountry options, as all lifts and trails should be open. Plus, with warmer temps and days with no clouds in the skies, you can enjoy the outdoors and not worry about bundling up as much. Spring break wouldn’t exist if it weren’t for schools being closed for kids and families to enjoy the end of winter. 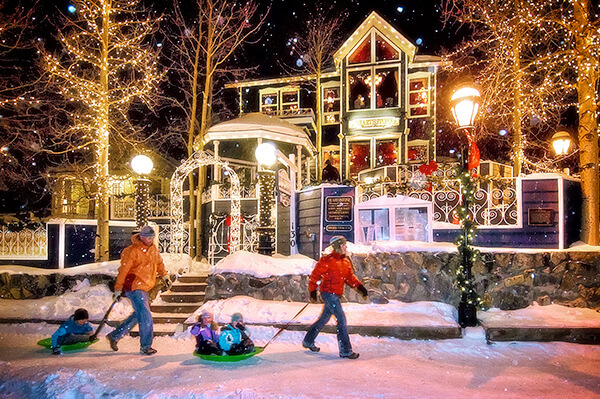 Breckenridge is a perfect destination for families, and boasts a lot of children’s activities. On-mountain activities includes the Alpine Gold Coaster – a coaster ride down the ski mountain - or ski-school to learn and advance skills. After a day on the hill, kids can enjoy pizza and games at Downstairs at Eric’s on Main Street or head over to Breckenridge’s toy store, Peak-A-Boo Toys. Take a day off from skiing/riding and embark in dog sledding through Breckenridge’s backcountry woods, or head to Frisco for tubing. Question about Breckenridge lodging or winter activities? We live and work in Breckenridge and love this beautiful ski town we call home. Call us at 888.453.1001, or email us.